I was so excited when I saw Sketch Saturday's Challenge design. 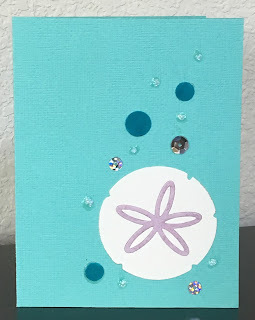 I know right away I was going to use my new Reverse Confetti sand dollar die. 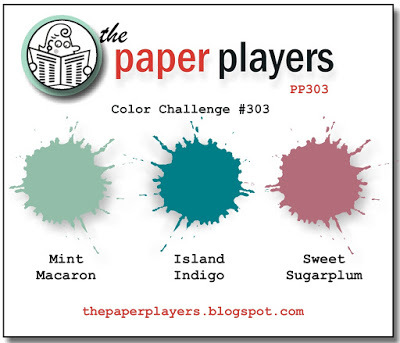 The Paper Players color challenge worked nicely with the ocean theme. 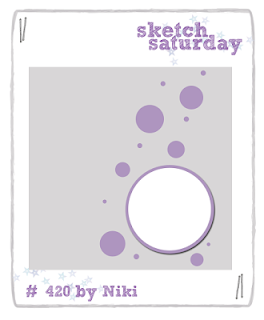 I also used this card for the Clean and Simple on Sunday challenge which was to use sequins. A beautiful CAS design, showcasing our colors in the prettiest way!